In Game 5 of the 2017 Western Conference Semifinals series against the Houston Rockets, a basketball player from Argentina put on a show. He scored on a dunk, a three-pointer, a freethrow, and a couple of lay-ups. He ended the performance with a game-saving block. It was his only block of the game. After the final buzzer, his stat line read: 12 points, 7 rebounds, 5 assists, and a block in 31 minutes. Those numbers don’t exactly jump off the page, but I want to talk about it a bit because those numbers are from our beloved tito from the San Antonio Spurs: Manu Ginobili. Ginobili was a virtual unknown when he was drafted by the Spurs as the second to the last pick of the 1999 NBA Draft. He almost didn’t make the cut. Some of the names that were picked ahead of him were Elton Brand, Steve Francis, Shawn Marion, Corey Maggette, Wally Szczerbiak, and Scott Padgett—all of whom have moved on from the NBA. 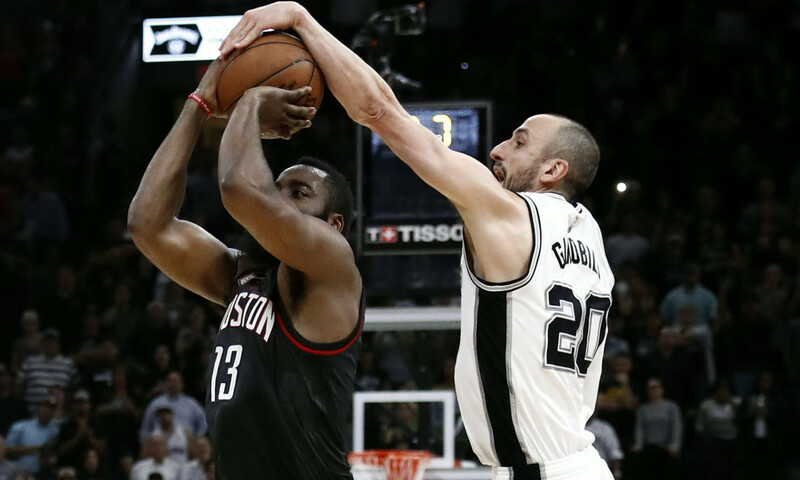 Ginobili, meanwhile, is still out there blocking James Harden (side note: when Ginobili was drafted, Harden was only 10 years old). In 15 years in the league (suited up for the Spurs in ’02), Ginobili has been named an All-Star twice; made it to the playoffs 14 times (missed ’09 due to injury); and won a championship four times (should’ve been five if not for Ray Allen). His highest scoring output came in the 2007-08 season, when he scored an average of 19.5 points per game in 31 minutes. But last season, he only put up an average of 7 points per game in 18 minutes, both career lows. Save for the Game 5 semifinal heroics, the numbers—as well as his once glorious, flowy hair—have faded on Ginobili. Look past the hairline and the numbers though and you’ll see that Manu is the tito who can still hang with the cool kids. Perhaps the best example of this is his 21-point, Game 3 outburst against the Warriors in the 2017 Western Conference Finals or his huge block on James Harden in the 2017 West Semis against the Rockets. Like my idol Tito Gary V., there’s nothing baduy about him. He didn’t need to reinvent himself to stay relevant and he can step up when needed. His moves are a bit slower—like a YouTube video playing at 0.5 speed—but the long strides and Euro steps are still very much from the same Manu, driven by the same Go Hard or Go Home mindset. He is entering the fresh season at a not-so-fresh age of 40—the magic number in the NBA; the hump that only a few dare to go over. In the modern NBA, Kevin Willis was the oldest player to retire at 44 years old in 2007. Robert Parish would be the “Chief” until he was 43. Dikembe Mutombo wagged his Freddy Krueger finger until 42. In the PBA, the retiring age is not as well-defined, but playing coach Robert Jaworski Sr. laced it up until he was 51 years old, with his son old enough to be his starting small forward. Only Vince Carter and Jason Terry join Ginobili in the 40 Club this season. But unlike Ginobili, Carter’s and Terry’s journey to the end are on a different arc. Carter’s case is more curious: once a high-flying and athletic superstar, now an eighth or ninth scoring option whose role has shifted to knocking down open 3s. He can still whip out a dunk here and 360 lay-up there like a real life Uncle Drew, but his comfort zone has relocated from the air above the rim to the space behind the arc. In his past three seasons with the Memphis Grizzlies, Carter averaged 7 points per game, far from the 27 points per game he averaged in his best season with the New Jersey Nets 13 years ago. Entering his 20th year as a pro, he (and basagulerong tito Zach Randolph) will play mentor to a young Sacramento Kings squad with five rookies and four sophomores on its roster. Terry, a former champion and Sixth Man of the Year, plays a similar role for a young Milwaukee Bucks squad. The team’s two biggest stars, Giannis Antetokounmpo and Jabari Parker, are both nearly half the age of their Tito The Jet—a streaky shooter who once tattooed the Larry O’Brien trophy on his bicep before his championship season with the Dallas Mavericks. Terry’s ex-teammate on that champion team, Dirk Nowitzki, is turning 40 next year. Nowitzki’s path to titohood is a hybrid of Ginobili’s, Carter’s, and Terry’s, in that he serves both as mentor to guys like 23-year-old Nerlens Noel and 19-year-old Dennis Smith Jr. and as a deadly offensive weapon. 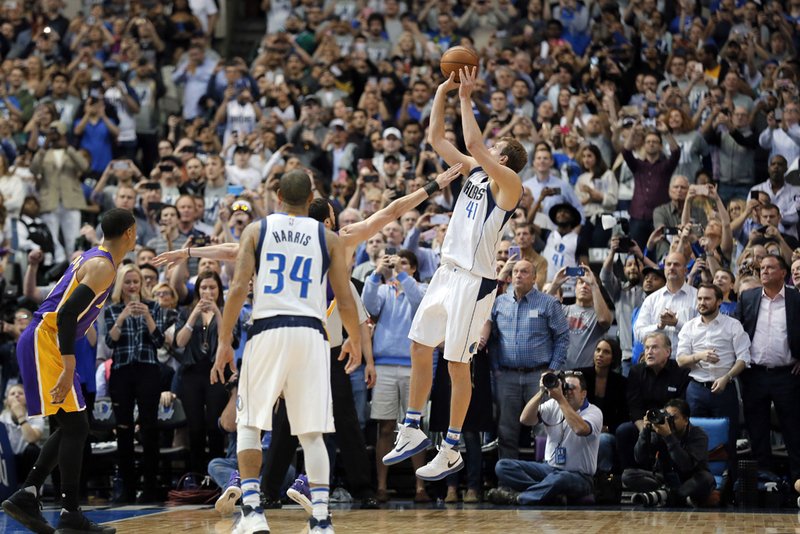 Just two years ago, Nowitzki kept the role of Mavs’ leading scorer with an average of 18 points per game. At his peak, Nowitzki averaged nearly 27 points per game. There are only two active players in the NBA’s Top 10 All-Time Scoring Leaders; Nowitzki, with 30,260 career points, is one of those players. He has since been relegated as the second scoring option behind Harrison Barnes, but the Mavericks is most definitely still Tito Dirk’s team. His signature, one-legged fadeaway jumper remains efficient—like a familiar and corny tito joke you’ve heard many times before but somehow still works. Soon, he will find it preserved in a museum along with Carter’s between-the-leg dunks, Ginobili’s Euro step, and Terry’s corner 3. This is the new reality that these veterans will face once their shelf life in the NBA reaches the expiration date. There are many reasons why these elder statesmen aren’t merely counting the days to salvation like castaways. They’ve kept an important spot on the roster because of their great locker room presence and strong work ethic. They’re still at it despite playing way past their bedtime. Last Friday, a mid-30s me found myself in a bar that can only be best described as hip, surrounded by 20-somethings and college students in their late teens. It was fun but the scene made the tito in me feel a tad uncomfortable. Before 12 midnight, I chose to go home. Manu, Dirk, VC, and The Jet—the NBA counterpart of the tito—they still choose to go hard.